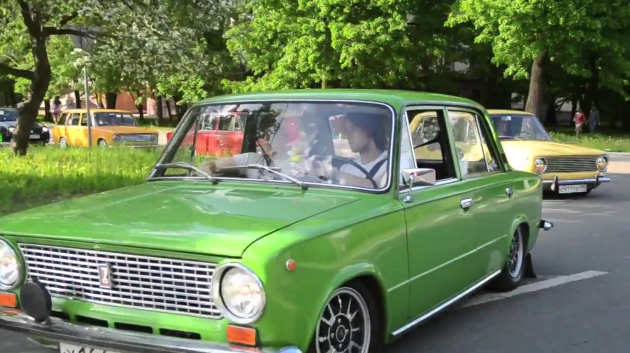 Only Dropped Car Club is a bunch of guys from Russia with really cool Russian Ladas. This video is of them doing what you should do in any special interest car: driving. Нажмите здесь for the worthwhile video. It’s cool to glimpse into the automotive culture of other countries. It’s a different take on the hobby, but not by much. This entry was posted in Gems from the Dark Years (1971-1987), Imports (Euro), Items of Interest (Not for sale), Sweet videos. Bookmark the permalink.